A timeless classic, our American Brown Ale is smooth, satisfying and full of malt flavour. Subtle, rather than flamboyant, the malty centre is the hero of this brew. Caramel, with a hint of chocolate, and delighfully balanced. Not too roasty, not too hoppy. With plenty of character, American Brown Ale is about to become your new favourite beer style. Pairs well with most foods. Perfectly complements a BBQed steak or chargrilled kumara. Who doesn’t love salted caramel? An original and harmonious coming together of two opposites – we present the Salted Caramel American Brown Ale. Almost too delicious to describe! We’ve Tinker-ed with our original American Brown and created this beautiful brew. We champion the caramel maltiness, delicately balancing it with just a hint of the finest Himalyan rock salt. The result? A comforting, caramelly concoction where malt flavour wins out over hops. Yes, in a world full of hoppier and hoppier offerings, we present the refreshingly opposite. Try contrasting the subtle sweetness with an aged cheese for a taste-testing combination. Tailored true-to-style, this beautifully-burnished copper concoction combines lemon, lime, and grapefruit zest on the nose with the same tangy citrus fruit flavors on the tongue. A pastry sweetness balances a pleasant bitterness that finishes clean and, rather than over-staying its welcome, begs for another mouthful. Pair it with fish and chips to enjoy a classic combination. Looking for something a little bit unusual? Introducing Hazy APA. We took our classic APA and, well, tinkered with it. A full-bodied, opaque beer with buckets of character. We added wheat. And we’ve gone a bit crazy with the hops. Combined with heaps of flavour reminiscent of stonefruits, you’re really going to love this one. The beer formerly known as APA 2! Try it with a spicy Thai curry to get your tastebuds really going. Extra pale. Extra delicious. A more session-able version of our popular APA. Less bitter, less hops, less alcohol but still just as tasty. Extra pale in colour, you'll love its fresh-crushed lime character. Combined with the white-wine fruitiness of honey dew melon and strawberry this is a perfect beer to drink on a slow, relaxing day with your mates. Pairs well with your favourite spicy Mexican dish. Fashions change but some styles are timeless just like our IPA. Its smart red gold colour catches the eye, inviting the drinker to inhale the fragrance of crushed pine, papaya, and passion fruit. Refreshing and perfectly balanced. Sharp lines of bitterness are offset by the full flavors of mango, fresh nectarine, and a touch of blueberry. Try a glass with a platter of spicy Indian chutneys, samosas, and poppadoms. Looks like a dark beer, tastes like an IPA. We took our classic IPA and, well, blackened it. The result is a delicious mash-up of espresso and evergreen, featuring our favourite hop combo. Rather drinkable, much lighter than a traditional porter or stout. Pairs well with sharp cheeses such as a smoked gouda. This is what craft lager is all about! Our Tailor-ed lager is refreshingly crisp and clean. Its crystal clear, pale colour hints at the tantilising tastes of this flavourful classic. We’ve gone light on the hops to create an easy-drinking beer ideal after a hot day working in the garden. Or right at home down at the beach. Nothing says summer like this thirst-quenching, ice-cold lager. Serve with sushi, or grilled lemon chicken. 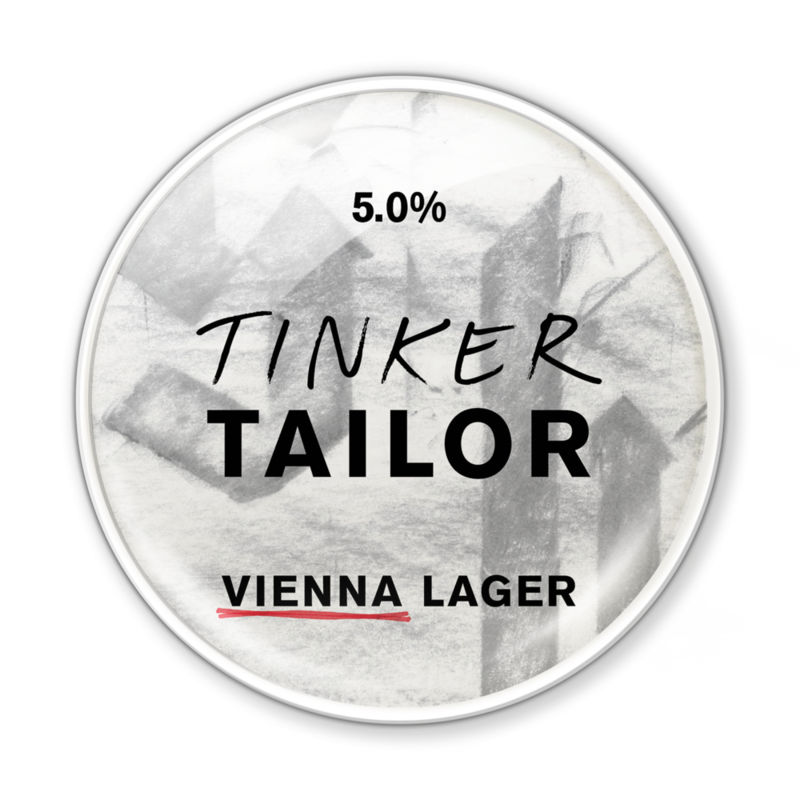 Not all lagers are cut from the same cloth and our Vienna-style lager is a cut above the rest. Don't let the bright chestnut hue fool you, while tastes of toasted crust and baked brown bread abound, the body is lean and the finish elegantly crisp and refined with the subtle spice of noble-origin hops. Malty, but not too hoppy, Vienna Lager is our interpretation of a traditional, easy-drinking European style. Pairs really well with a beef burger. We’ve taken a nod from the Americans here and cranked up the dials on a stout to bring you this black beauty. Luxurious dark chocolate and roasted aromas, treacle to vanilla molasses on the tongue, tempered by resinous hops and a warming, full body. A perfect creamy, drink-beside-the-fire beer. Highlight the coffee aroma when paired with a tiramasu. Or enjoy it with corned beef hash on a cold winter's evening. 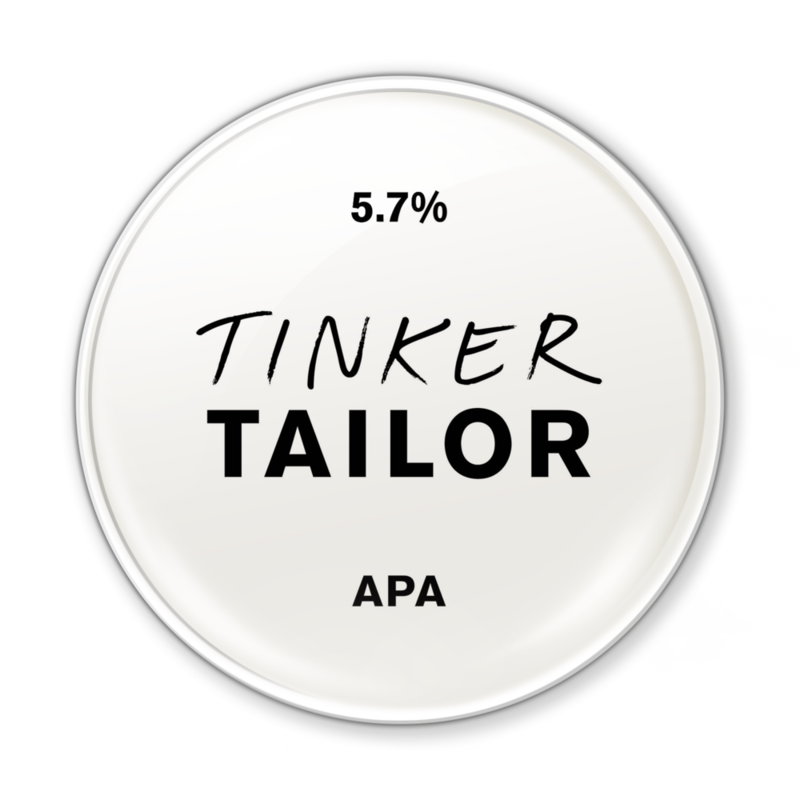 Can’t wait to have Tinker Tailor beers at your place?